Our children are not ours. They belong to God, our Heavenly Father who created us and who created them with a mission: To bring glory to Him. I keenly felt God’s ownership of my children when my newborn son was diagnosed with a rare lung defect that required the immediate removal of half of a lung. The emergency surgery saved his precious little life with hardly any time to spare. It was so scary. I still prayed that my child wouldn’t be taken from me. I prayed that losing a 5 week old baby would not be my calling, though I knew other women who God had asked this of. I didn’t want it to be me. And mercifully, on that day, God did not call me to lose a child. But I became incredibly aware that my children were not my own. He gives them to us for a time, a short time, and it’s our job to diligently teach them about the Lord. We do this when we’re at home and when we walk along the road. When we lie down and when we get up. (Deuteronomy 6:7). We have the honor of cultivating their little hearts for Christ, leading them to Him. The result should be adults who want nothing more than to honor their God in all that they do. Adults who want to lead others to Christ and serve the Lord in all that He calls them to do. It’s our goal to lead them to Christ. Not micromanage them to Christ. Not control them to Christ. It’s a job that we can take so seriously that we reduce it to behavior modifications when it’s really about the heart. Our goal is not to create perfect little children. Our goal is to lead these perfect little sinners to a perfect savior who died for them. And then we get to teach them what it looks like to walk with Christ. Are we called to discipline them and correct them? Absolutely. We want them to see the truth that God’s way is the best way. 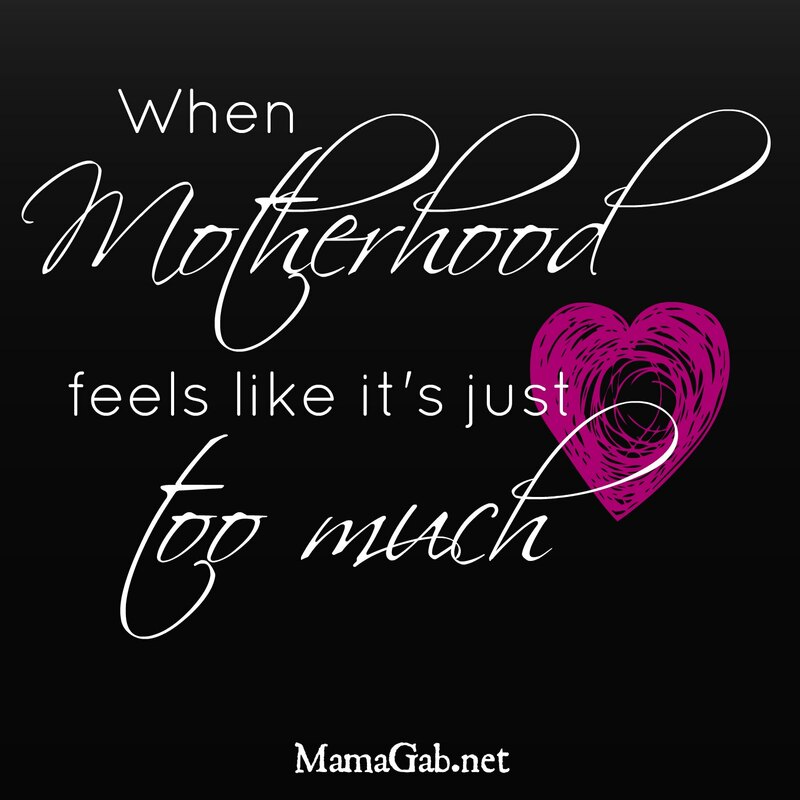 But sometimes, I can make it all about the outward behavior and all about doing the right thing so that mommy doesn’t get annoyed at the grocery store, or so that mommy can do the housework. It’s not about those things. It’s about taking those disobedient moments and teaching them through their sin. And ultimately, we are called to faithfully parent and honor God through that process, but only God can take a heart of stone and make it a heart of flesh (Ezekiel 36:26). God will regenerate their hearts in his perfect timing. Not in my imperfect timing in my imperfect ways. This week, we’re going to look at perfectionism and parenting. It’s probably my toughest struggle, one that I’m still in a battle over on a regular basis. I hope you’ll chime in with your insight and wisdom so that we can learn together through this. And be sure to subscribe to MamaGab by Email so that you don’t miss a single post.